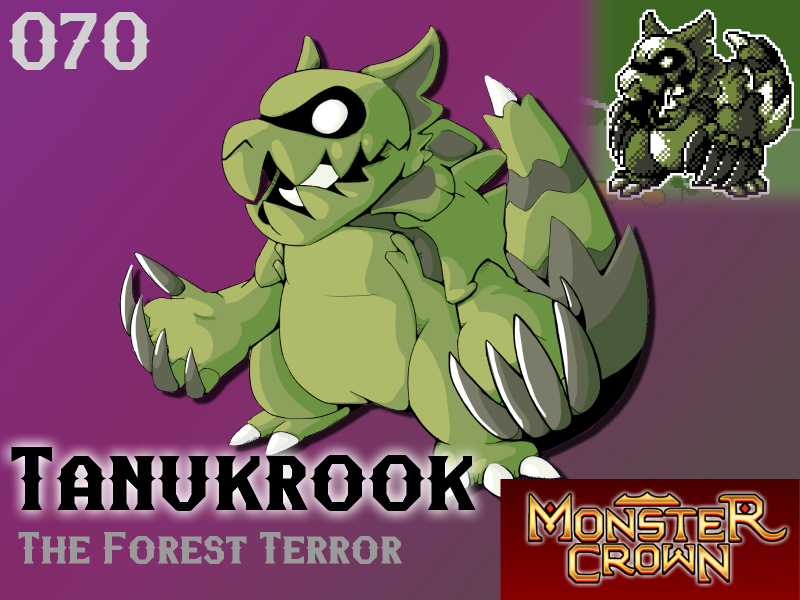 Tanukrook is a large, terrifying deep-woods Monster. It lurks in forests, using its coloration as camouflage while it stalks those who enter its forest - waiting until the perfect moment to strike and steal food from its targets. When seeking a meal, It can smell food from many miles away. Particularly hungry individuals often steal far more than food when encountering human trespassers that have wandered into its expansive territory. Few foes can offer a physical challenge to Tanukrook. Natural battles between this beast and an opposer are rare, but shockingly destructive. Will Tanukrook make your team?